Tomorrow is the last day of school for my little guy. It comes as no surprise, I've had it on the calendar since last September. Why I am running around like crazy this afternoon to come up with some end-of-the-year teacher gifts is beyond me. I just never put 2 and 2 together (just another reason why math is not my strong suit). Lucky for me, I had a few crafty items stashed away. 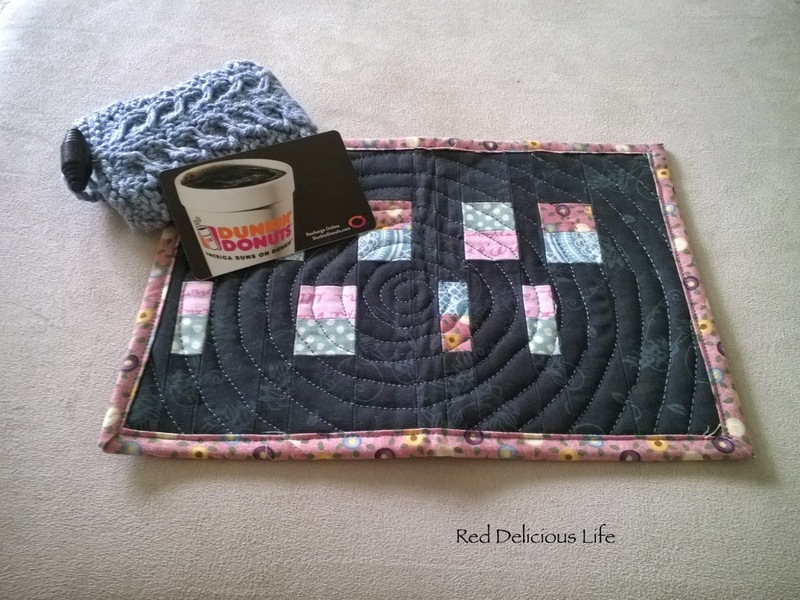 A modern looking mug rug paired with a gift card to Dunkin Donuts fits the bill perfectly. 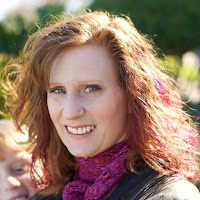 The knitted gift card holder is a quick project and can be used with scrap yarn. Makes a gift card look so much more special, I think. Dodged a bullet on this one. Whew! Practice Makes Perfect, But What Now?